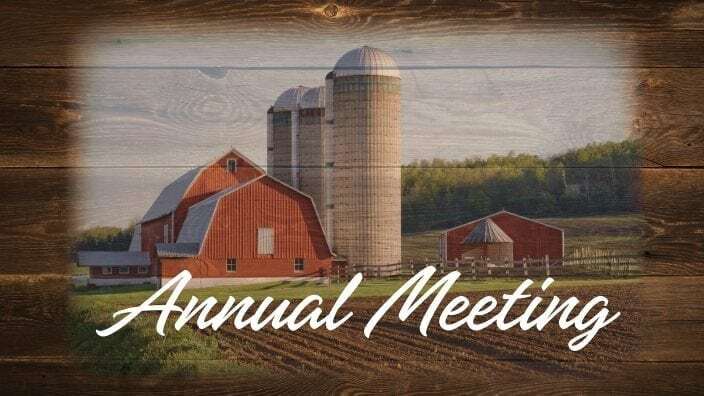 Join members of the Seneca County Farm Bureau for the annual meeting of members, Thursday Aug. 16, at the Junior Fair Foundation Building at 5:30 p.m. The cost is $10 per ticket. During the meeting, members will be electing board trustees and state annual meeting delegates and voting on the proposed policies and code changes. Scholarship and other award winners will be announced as well as a recap of the year’s highlights. RSVP by Aug. 6, 2018 at at 419.447.3091.